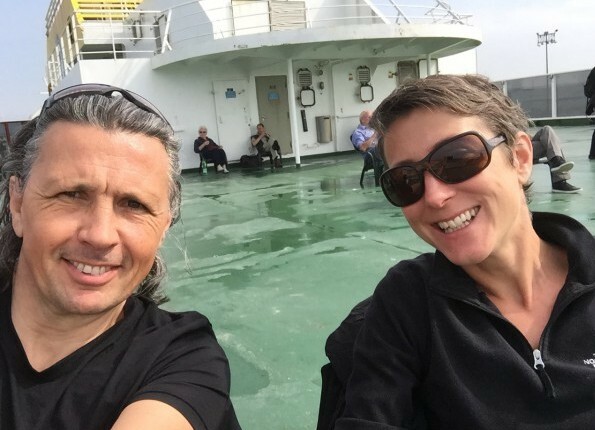 Adam and I have long shared a passion for France and after a great night catching up with friends in Brighton, we made an early start catching the ferry from Newhaven to Dieppe. On the way we talked about how our friends had inspired us; they have hectic lives and are at a turning point in their life too, busy balancing work, family and getting the most out of every day, yet when we talked about not having time to exercise B simply said ‘why not?’ ‘Well we’ve just been trying to do so much, we’re so exhausted, we don’t have time’, ‘why? if you want to you can find time!’ It made us think, not just about our poor exercise regime but more broadly too. We’re both feeling tired and unfit and and being active is one of the things we love to do, we need to do a better job of prioritising, finding time for what is important to us. 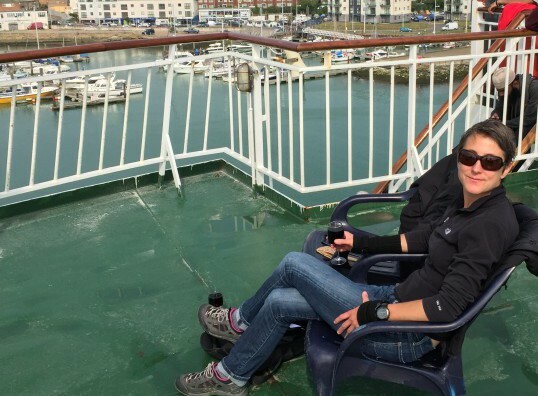 So… a celebratory, ‘we’re off!’ glass of wine with our cheese and ham baguette breakfast on the ferry (well water, beer or wine was included so what can you do!) really got us off on the right road I think. The last few days have been quite a learning experience; learning to relax again as you always need to at the beginning of any holiday or trip, learning to walk at flip flop pace, learning to let go of the commitments and people we have left behind in business, learning to say ‘though I would like to taste everything, I’ve had enough (for now)’ and this time, with our newly acquired France Passion book, learning about a new region of France that we have not really explored before. Landing in Normandy we took a little stroll through Dieppe and bought groceries and some irressistable savoury treats from the local shops to enjoy later. 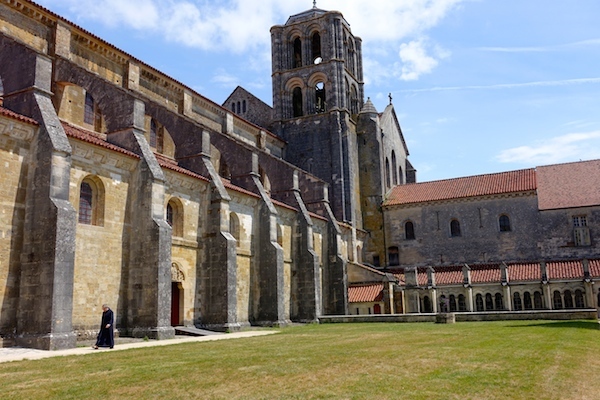 Using our France Passion book we’d identified a place to stay, 3 spaces, no toilets but promise of chance to buy beef and veal products direct from their farm and a view of the Abbey de Jumieges across the Seine. 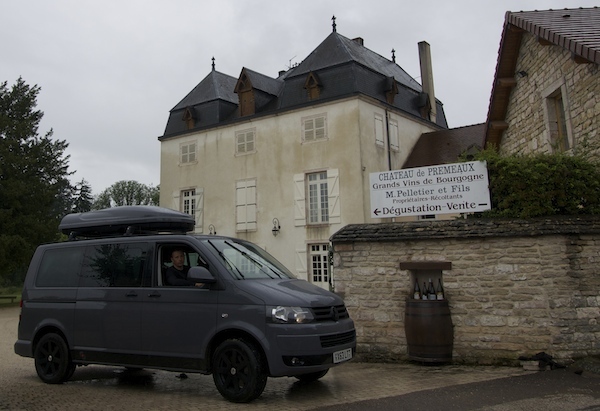 France Passion is a great concept that we had been introduced to on our last trip when we stumbled across a sign at a Champagne vineyard; farmers and wine growers open their small field or garden to people with motorhomes free of charge. In return, you leave it as you found it and pay for your stay by buying a little of their produce. Perfect since we always want to buy and try local products. At Heurataville Isabelle was very friendly, ‘pas problem’ to park our little camping car in her field. Under a black sky we walked out along the banks of the Seine, into the little village where every garden and house was immaculate and full of character. As the heavens opened, we made a mad dash back to the shelter of our van and tried to get our canopy up, frustrated at being so stupid not to have done it before. 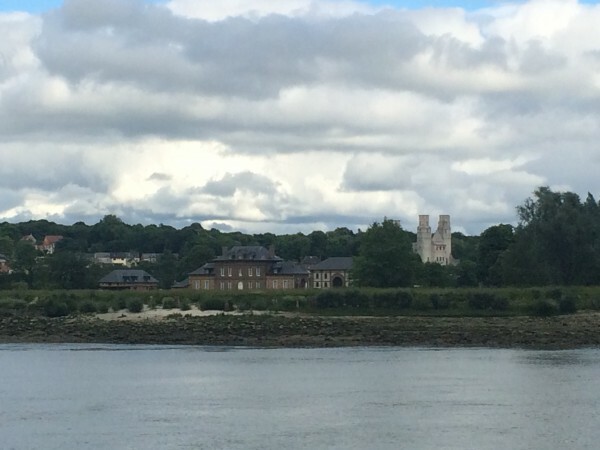 Dried off, we sat giggling under the canopy in the pouring rain with a glass of wine looking out across the river to the abbey. It was Friday evening; we wandered up to the farmhouse and to the shed that served as Isabelle’s shop. 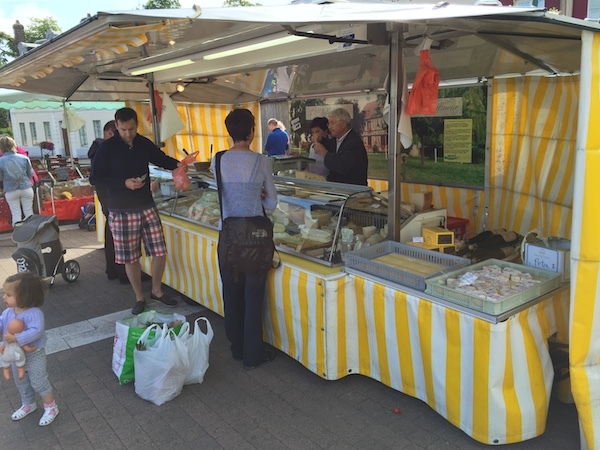 Two locals chatted away about their weekend plans as they bought trays of wonderful looking beef, veal and sausages. Edith had been to school with Isabelle since she was 5 she told us, she had enjoyed travelling in England but particularly Ireland where the locals there had given her lots of fish and crab in return for a little of the French wine she had taken with her. She particularly liked Sweden though, where it amazed her that even that far north, with very little around, all of the toilets had soap and toilet paper! By now, normally Adam would have been impatient and huffing as the whole experience was taking far too long but it was just so nice to feel a part of this, to meet French people, just getting on with their fascinating and different lives in this tiny backwater. After a nice, half understood conversation Edith wished us a bonne weekend and finally it was our turn. Home made merguez sausages, rillettes de boeuf and 2 premier steaks, all to be tasted later. Later that night we enjoyed a feast of fresh French baguette and Normandy meat terrines with wine brought from home in our cosy van. The rain continued and physically and mentally exhausted by, we don’t quite know what yet, we fell asleep before 10.30 – very unusual for us night owls. 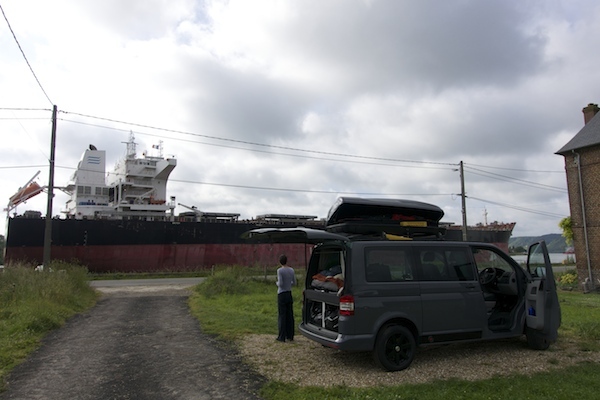 As we packed the van and enjoyed coffee in the morning next to the tranquil river a shadow came over us and this time not our emotions getting the better of us but an absolutely enormous ship from Monrovia. I waved at the tiny figure on the deck enjoying the morning air and he waved back as his container ship threaded its way up the Seine towards Rouen. We wondered if he had as interesting a day ahead of him as we did. 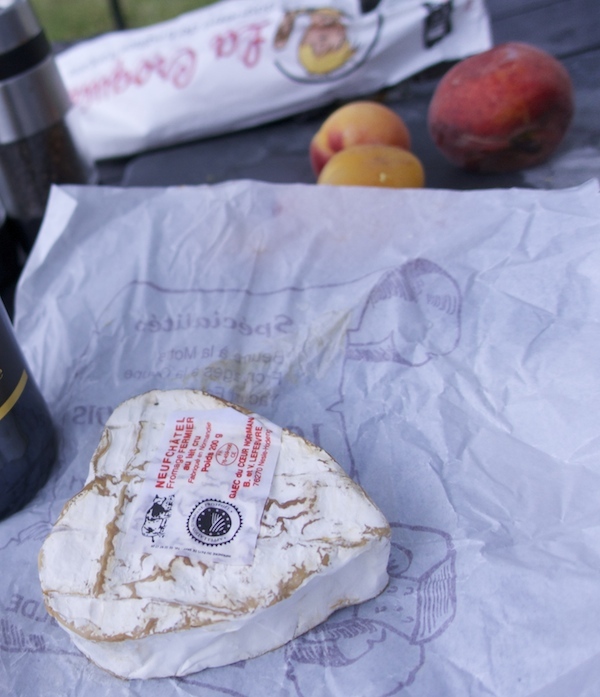 Our passion for food is even stronger than our passion for France so we stopped at the market in a really nice town, Bourgtheroulde-Infreville, buying more fresh bread, local cheeses and local cidre for later. A strange drive through Normandy and down through Chartres to Orleans, all on the D roads, big flat open spaces with fields and fields of wheat and occasionally lavender, not inspiring but different and a really pleasant change to the many trips where we have blasted down the eastern side of France to the Alps and on to Zurich. Lunch was a roadside picnic in the sunshine, of fish terrines bought in Dieppe with today’s fresh bread and cidre. We wanted it to be perfect and I suppose it was in a way, sunshine, wonderful food, great company in the countryside but we’re not switched off or relaxed yet. It feels like we are on hold and waiting for something, perhaps the sunshine but I think something more; answers, solutions, clarity of what is next as we have said goodbye to a guaranteed, regular income and the security of a commitment to corporate world, setting off into the unknown, emotionally and financially. Stunning countryside after Orleans spotting chateaux along the Loire. Another France Passion location for the evening at Cosne sur Loire on the border of Normandy and Bourgogne, where Michelle and Christian where wonderful hosts. 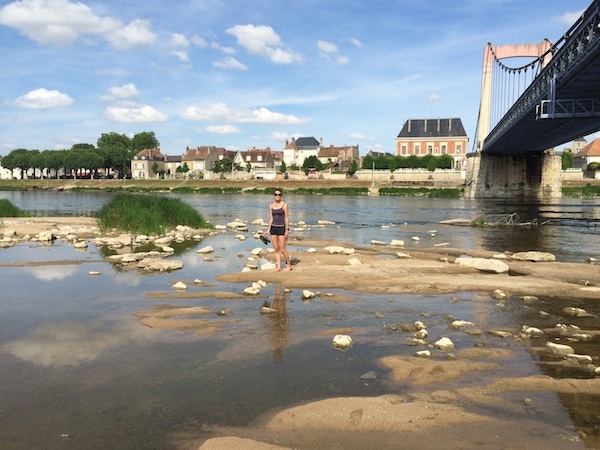 We parked on the grass next to their restaurant, Les Terrasses D’Ile, then had a wander and a paddle along the banks of the Loire. ‘Un petite Sancerre’ as an aperitif (since Sancerre is just down the road) then buffet dinner which was fabulous; whelks and crevettes followed by Fillet Mignon and Andouilles de Canard (not Adam’s favourite) and vegetables. Then of course I fed another of my passions with a plate of cheese. All with wine on tap. When we went to pay the owner wouldn’t let us pay for our aperitif or the full bill. A wonderful evening if not a little confusing, we had talked incessantly about possible plans for the future; the next day and also the next year, reflecting on our fascinating journey, good and bad, so far. 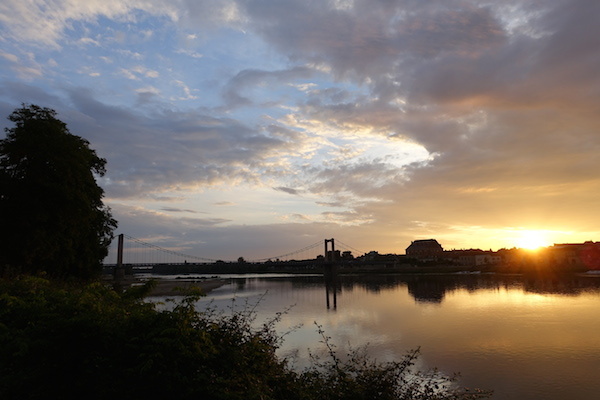 Adam was up with the sun, I enjoyed the sun rising behind Cosne across the Loire from bed, having enjoyed a little too much Sancerre the night before. A quick stop off in Sancerre village to buy, well what else – creamy, floral Sancerre from a very friendly lady at Fournier Pere & Fils. 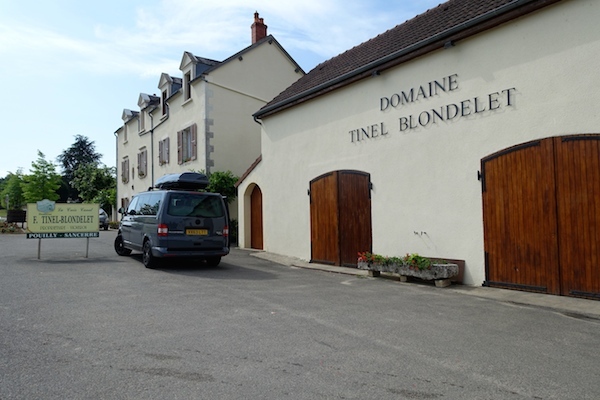 Then through Pouilly sur Loire where we stopped for more wine tasting and to buy a couple of bottles of Pouilly Fume. A beautiful drive following the Loire valley down through Bourgogne, lunch of local speciality Gougere (a choux pastry ball with cheese) sat in the beautiful cathedral square in medieval hill town of Vezelay. Our ‘bed’ pitch for the night, the garden of Chateau de Premeaux, another very nice France Passion spot. Canopy up in plenty of time for the downpour this time, we sat all smug and dry enjoying our very nice Pouilly Fume followed by one brought from Oxford (a Primitivo) which went quite well with our absolutely divine steaks bought in Heurtaville. We must write to thank Isabelle at Ferme Vautier. Sadly still raining when we woke to the sound of frogs croaking down by the lake in the garden, we packed up to get an early start. This weather is making us both feel down and like we’re just going through the motions at the moment. Madame Pelletier at Chateau de Premeaux told us that the vines need the rain; everywhere is very dry. Our souvenir from Premeaux three bottles of red wine, two Nuit St Georges and a Pommard. We’ll enjoy them along the journey somewhere and remember meeting lucky Mme Pelletier whose husband was born in the Chateau and she has lived in this idyllic spot now for 40 years. We needed to cover ground today so a long time in the van and back on the motorway rather than D roads, neither of us feeling top of the world, both still not quite in the groove so finding lunch could have been quite a chore. We pulled off the motorway seeing a D road that ran parallel through a few villages, after passing through several of these villages, we spotted Restaurant de Marine by the side of the canal, quite an intriguing looking place with a Plat du Jour board and plenty of trucks outside. As we entered and found a table in the packed bar restaurant, Adam spotted I was the only woman of the perhaps 70 customers. Fantastic home cooked, local food, half a litre of local wine for 2.70€, really friendly service and a lovely repost in our long day. I write this as the thunderclouds threaten again this time in the Haut Vosges near Belfort in Masevaux village. 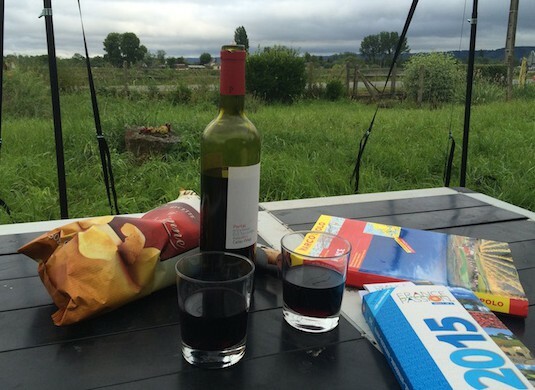 Our last night in France, for now, at a nice quiet campsite where we can fill up with fresh water. France Passion has allowed us to see and experience places off the beaten track, to meet some interesting people with such different lives to us, places and people that we would never have found otherwise. Glad to hear you are ‘sampling’ as you go!! The sun will shine just keep going!! Hi Helen and Adam. Are you following the news on Greece? That’s where you are heading isn’t it? By the time you get there the banks might have run out of money. And if not that then there are likely to be strikes either for or against leaving the eurozone. So is there a plan B? That could make it interesting! Greece in a week or so yes so perhaps avoid (Turkey instead) or stock up on Euros somehow. We were stranded by strikes last time we visited Greece and actually made us slow down a little since we couldn’t go anywhere so could be a blessing 😉 We’ll keep you posted. You do realise that they are heading for another election there don’t you. Plan C?